for $899,000 with 3 bedrooms and 3 full baths, 1 half bath. This 2,722 square foot home was built in 1995 on a lot size of 10.26 Acre(s). 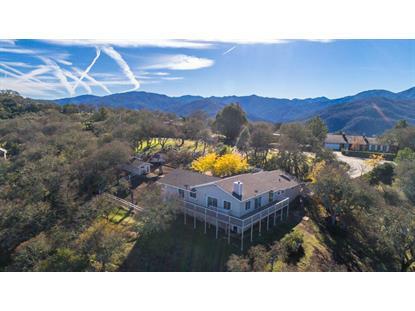 Step into this spacious 3 bedroom 3.5 bathroom home and enjoy the breathtaking 180 degree views of Carmel Valley, vineyards and Carmel Valley Village (some days ocean horizon). Great room with wood stove and formal dining room.Located out of the fog belt and only 30 minutes drive to Carmel. 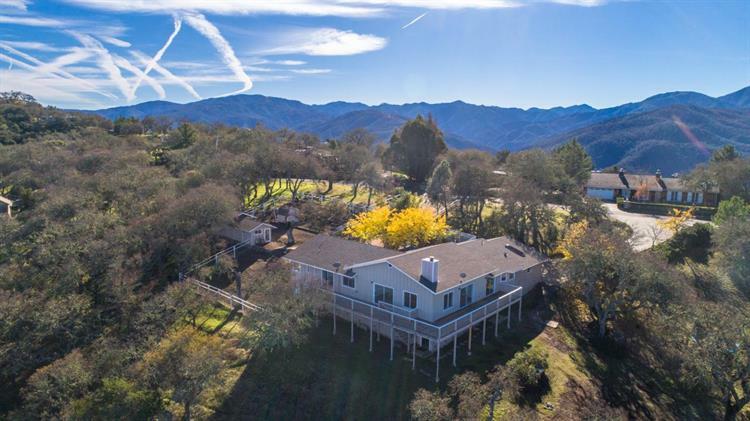 Included is a large wraparound deck, kitchen with pantry, kitchen dining and Also included in this 10, 26 acre parcel are an attached 3 Car Garage, three additional structures and many Fruit Trees and raised garden boxes.Plenty of extra useable acreage for other uses. *Downstairs is a permitted bathroom and permitted Workshop/Recreational Room of 900+ sf.